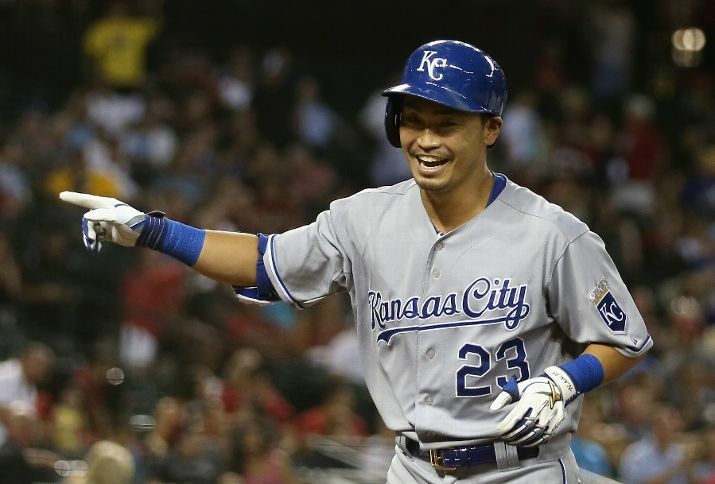 With the inevitable news that former Royals outfielder Nori Aoki would be taking his talents out west, signing with the San Francisco Giants, it felt as if a part of me was now missing. I felt incomplete knowing that this slap-hitting savant would no longer give us the privilege of viewing his awkward approach to hitting and his scenic routes in the outfield. Aoki struggled early on in 2014 but would bounce back in August and by the end of September had pushed his numbers close to what he had performed at over his career. 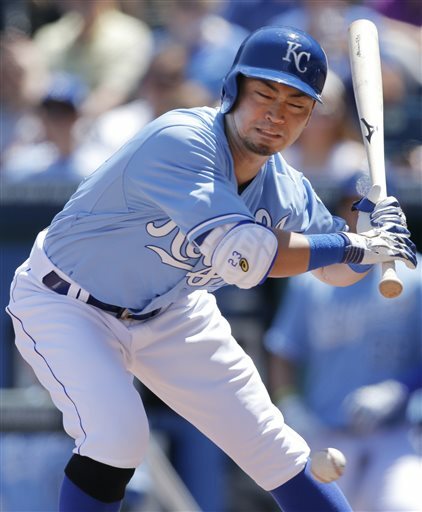 Aoki was a cog in the Royals playoff run this past October and despite some defensive hilarity he put together a solid postseason resume. 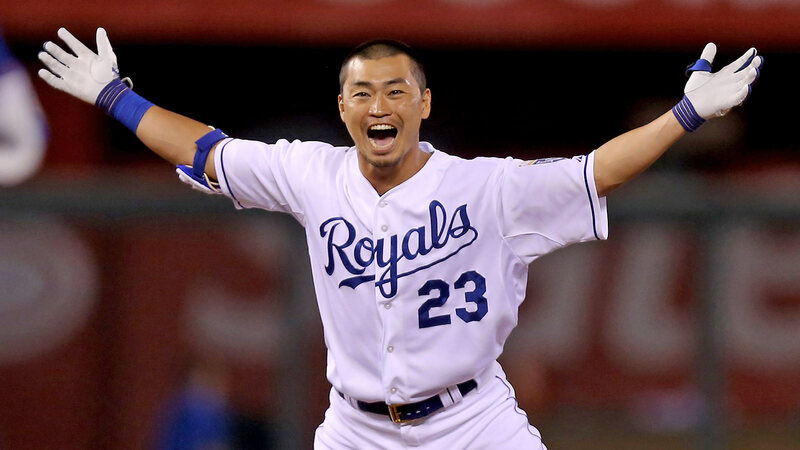 But Aoki’s accomplishments are not what I will miss about him. Oh no, not at all. In fact, it is safe to say I get much joy out of his injuries. Like, to a sickening degree. Just see for yourself. …but most of the time it was self induced. 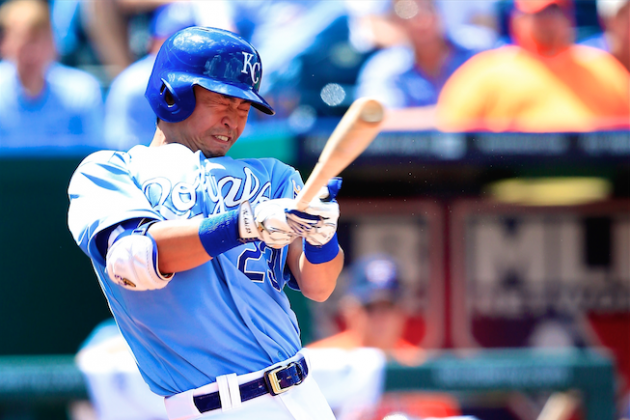 Getting Aoki from Milwaukee last offseason was one of Dayton Moore’s better trades and one that benefited Kansas City in October. 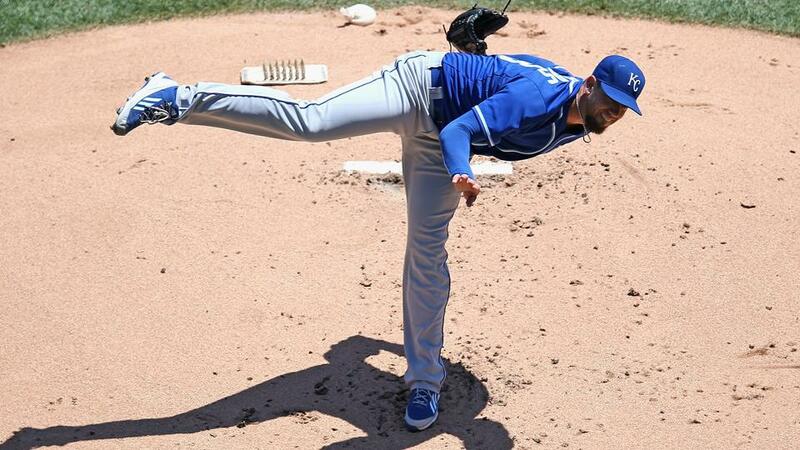 You have to wonder if the Royals will be able to replace him, at least when it comes to pure entertainment. 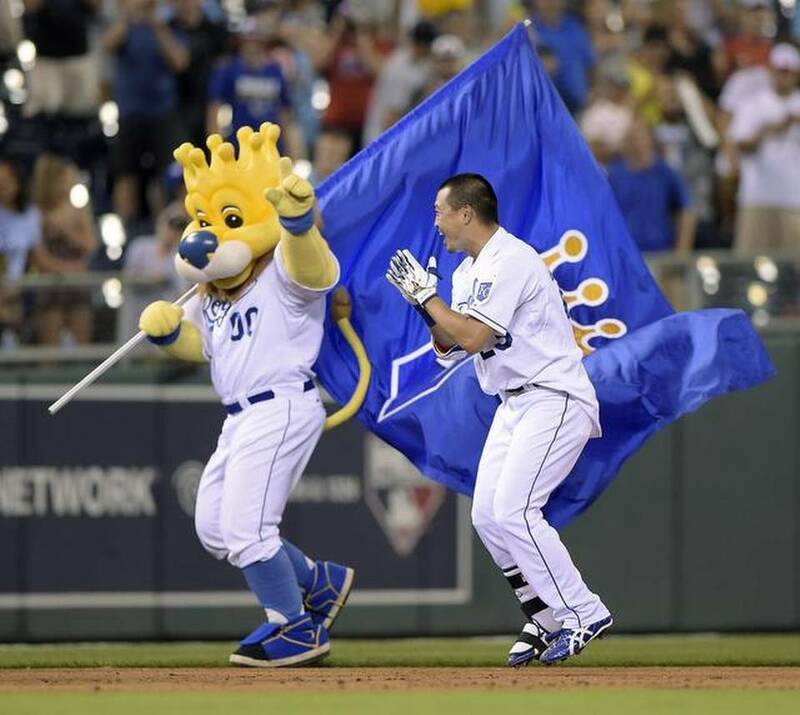 Maybe it will be Alex Rios or maybe Edinson Volquez. But most likely we will find out that Aoki was a rare gem that can’t be replaced. 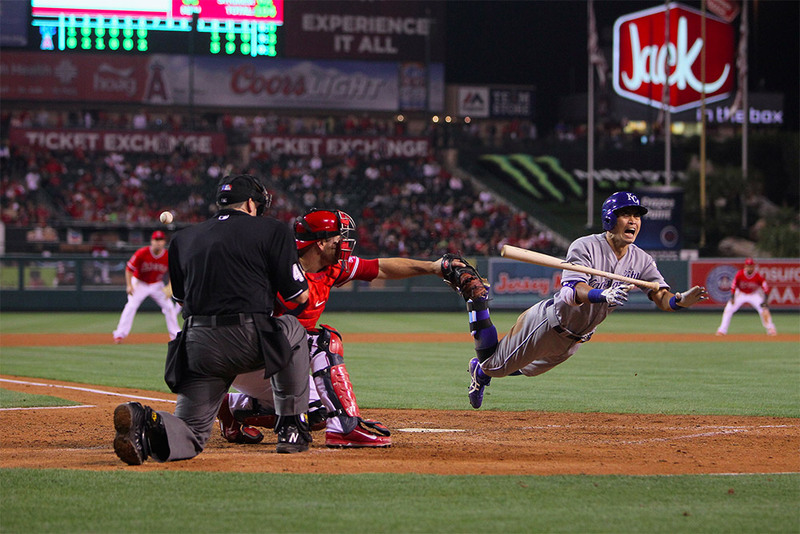 Nori Aoki might be gone but he will always remain in our hearts. We’ll always have the memories. Cue the Sarah McLachlan song. 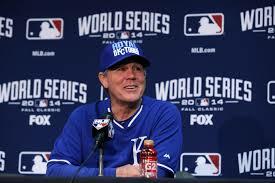 The inevitable became reality on Tuesday when Kansas City Royals manager Ned Yost(Neddy if you’re nasty!) 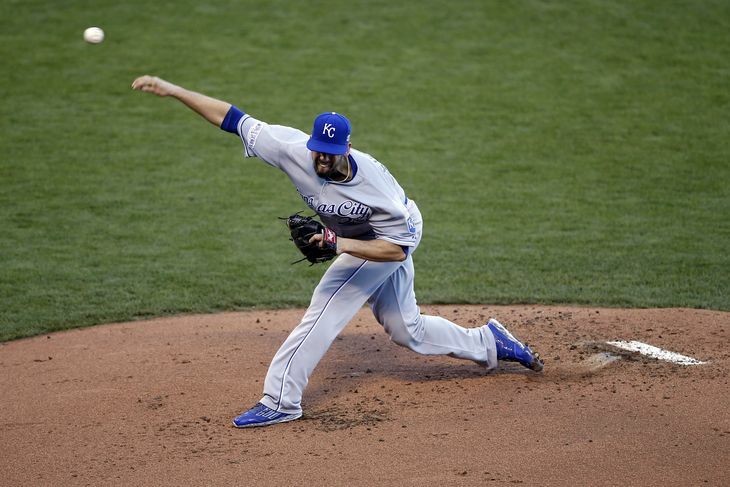 received a on year contract extension, which makes him the Royals head honcho through the 2016 season. 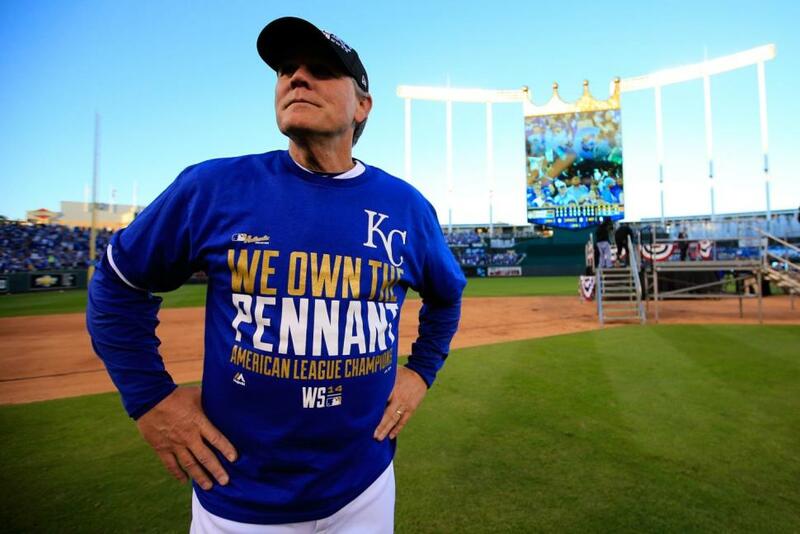 This wasn’t even close to being a shock, as it was expected Yost would receive more years after guiding the Royals to their first playoff and World Series appearance since 1985 while compiling an 11-4 record in the postseason. There is hope that the postseason helped Neddeth when it comes to managerial decisions and that he has learned and grown from this experience. For the Royals sake I hope that is true. I made the comment before the start of the 2014 season that as much as I disliked Yosty he was the devil we know ,knowing full well that he wasn’t going anywhere. 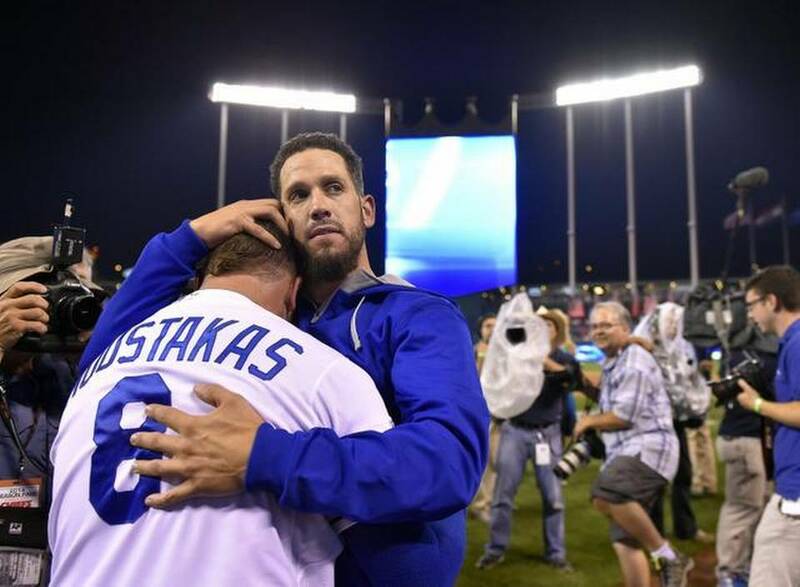 I’ll never be a big fan of Yost’s work, especially if this past October didn’t sway me. 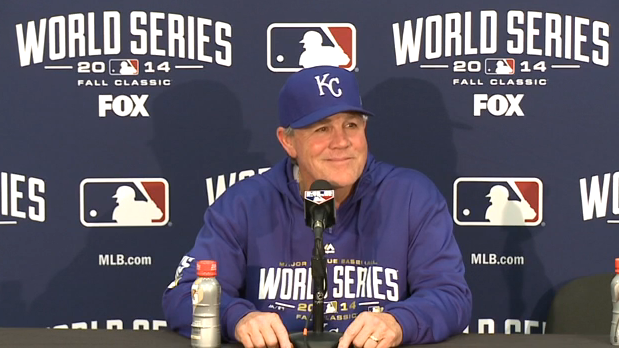 Yost is what he is, which is a manager very stuck in his ways and the style of baseball he feels can win ballgames. That thinking paid off in 2014, but the real story will be whether he can keep the team in the hunt over the next two seasons. Quite often I make the comment “things could always be worse” and most the time it could be. As much as I would like Yost to wander off to that deer stand in Georgia and never come back, I also realize we know what we can expect from him as manager. The question in 2015 is whether or not Yost will be as flexible in his thinking as he was in late September and October of 2014 or will his stubbornness rear it’s ugly head? 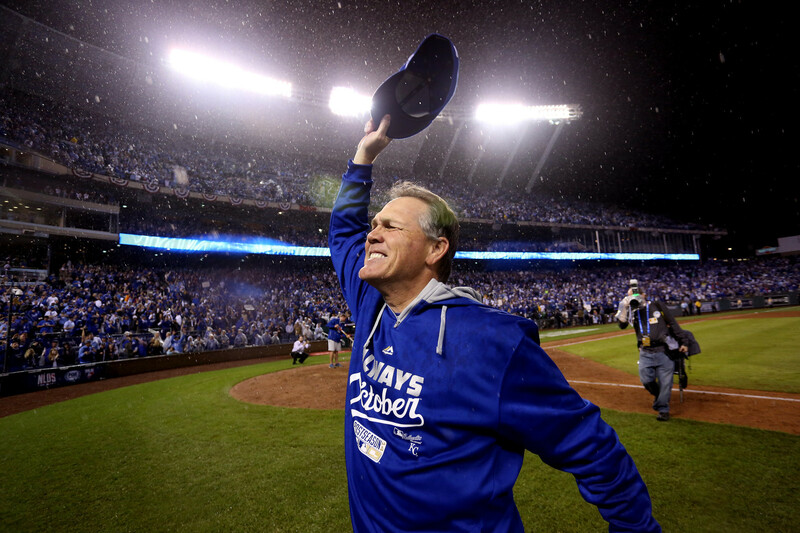 Yost has earned his extension but it doesn’t mean his work is done. Sure, in May of 1991, this seemed like a ludicrous statement. We all knew Rickey was a great base stealer and a future Hall of Famer, but declaring yourself the greatest back then just seemed cocky(which it was). Normally when you think of the greatest in baseball history, names like Ruth, Aaron, Williams, Mays and Mantle all come to mind, but the more you think about, putting Henderson in that list isn’t as far fetched as it seemed back in 1991. When it comes to a complete player, Rickey is on that short list of players who can make that argument. Let’s start with the obvious, which is running speed. 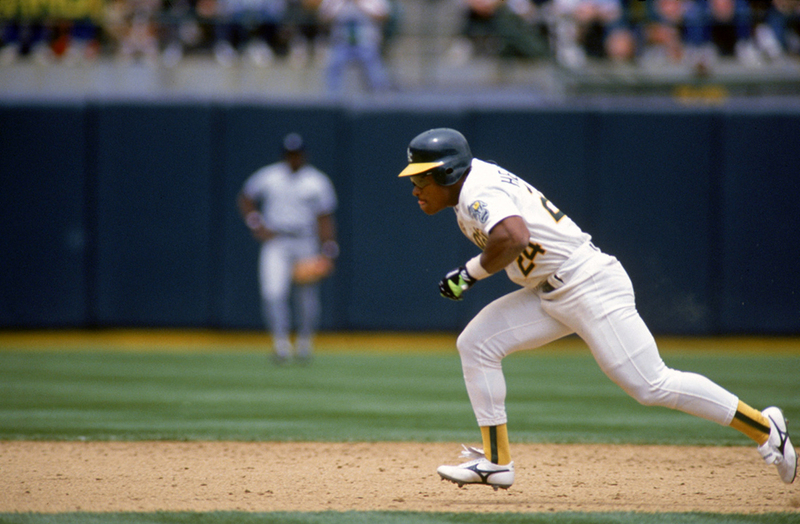 If we just went by stolen bases Rickey would run away(deliberate and expected pun) with the category. 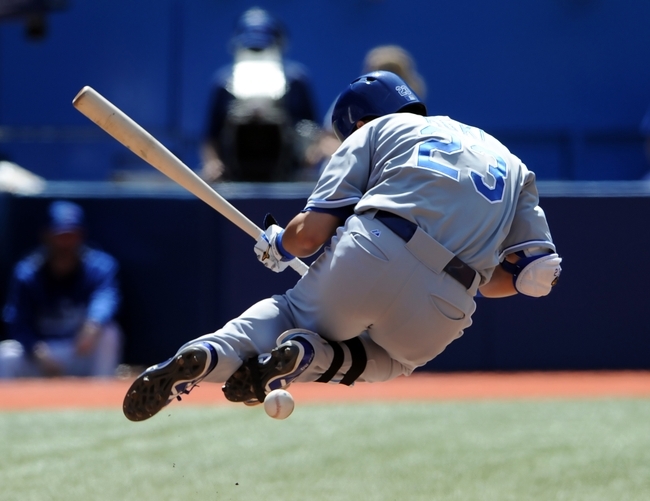 I decided to dig a bit deeper into this category though, so lets look at ‘Runs from Baserunning'(Rbaser). Comparing the six players mentioned above,Henderson is the easy winner with 144 over his career. In fact this race isn’t even close, as the next closest in this category is Willie Mays at 77. The surprising player in this department is Ken Griffey Jr. who only compiled a 16 over his 22 year career. In fact Griffey had numerous seasons in the negative, mostly later in his career once his injuries started piling up. We could check a few more numbers relating to base running, but I’m pretty sure we end up at the same spot, with Rickey at the top of the mountain. No big surprise there. 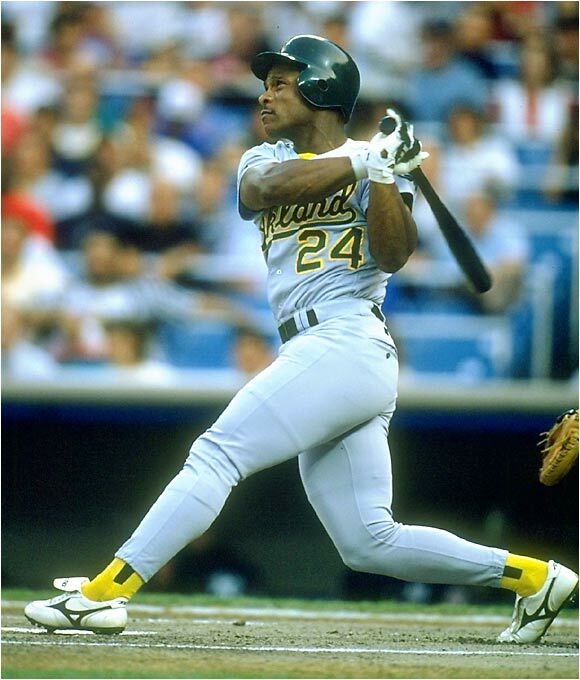 Arm strength wasn’t one of Rickey’s strong points, as he probably had an average throwing arm at best. Maybe the best way to decipher this is to look at assists in a season. Hank Aaron sits atop this leader board with 201 assists over his career while Rickey is next to last on this list. Mantle sits lower than Henderson, but Mickey also played 8 less years then Henderson which plays into his 117 assists compared to Rickey’s 131. Since we are already on fielding, lets compare these players using dWAR first. Henderson has a -3.4 career dWAR, but he is not alone on the negative side of the board. Both Aaron and Mantle also reside there, -4.8 and -10.1 respectively. Willie May’s blows away the competition here, as he has a career dWAR of 18.1! Bonds is next at 6.7 and Griffey at 1.3. I should also mention here that how you feel about this is probably predetermined on how you feel about defensive metrics. In my mind defensive metrics help show a player’s value, but I also think they are a work in progress. We can all probably agree that Mays was probably the defensive superior out of this bunch; that’s probably not even really up for argument. But do you feel as if Griffey was just a barely better than average defender? Or that Mantle was a horrendous defender? Probably not, although both players were slowed down by injuries late in their career. I decided to go a bit deeper defensively so I decided to check each player’s UZR rating(Ultimate Zone Rating, putting a run value to defense, attempting to quantify how many runs a player saved or gave up through their fielding prowess, or lack thereof). Using UZR(TZ before 2002) showed us basically the same thing that dWAR showed us; Mays and Bonds are the superior defenders, while Mantle and Griffey were the bottom of this list. Both Bonds and Mays were in the 180’s with their UZR while Griffey and Mantle were in the negatives. 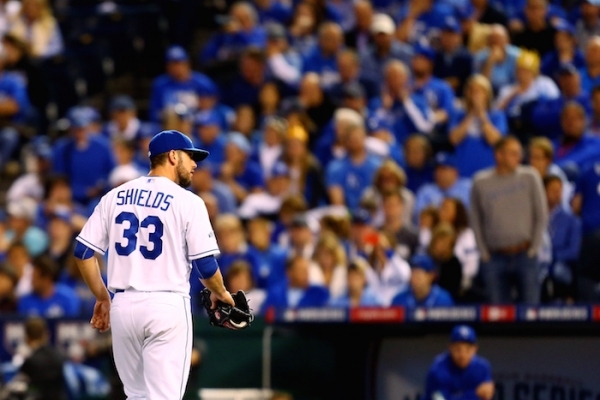 Henderson floated in between, sitting at 63.4, lower than Aaron but better than Griffey. What I take from all of this is that Henderson was probably an average defender, maybe even slightly above average who was aided by his speed early in his career, especially when it came to range. I think this also points out that our perspective on Ken Griffey Jr. was from early in his career when he was a defensive daredevil. His later years(mainly once he was traded to the Reds) showed a defender who was a shadow of his former self. Injuries can do that to even the greatest of players. Now lets look at hitting for average.The easiest way to do this is by batting average, with most of this group hitting between .298 and .305. The only two with career batting averages below that is Griffey at .284 and Henderson at .279. You have to think that Rickey hanging on and playing those last 4 years didn’t help him, as he posted his lowest hitting averages those years. But I don’t think average really covers this whole section, so lets dig deeper. A big part of a consistently quality hitter is someone who can get on base, so I figured I would check these players career On-Base Percentage(OBP). No surprise that Barry Bonds would lead here with a .444 career OBP, with Mantle second at .421 and Rickey coming in third at .401. Henderson did lead the league 4 times in walks and 7 times had seasons where he accumulated over 100 walks. 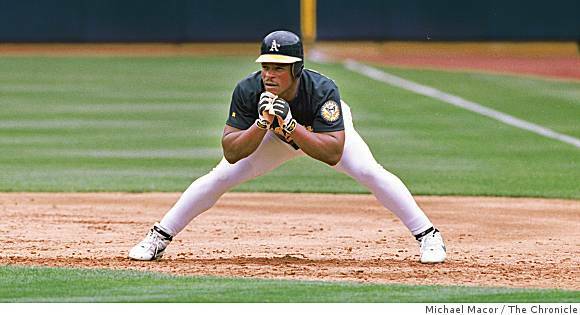 Obviously Rickey knew how to get on base and was a master at it. Time to move on to hitting with power, and I don’t think I am going on a ledge by saying that Rickey probably won’t match up as well with the other players in this category. Considering the other 5 players in this comparison all have at least 500 home runs and 4 of those have over 600, it’s safe to say Rickey will lack a bit here, since his career total is at 297 career home runs. 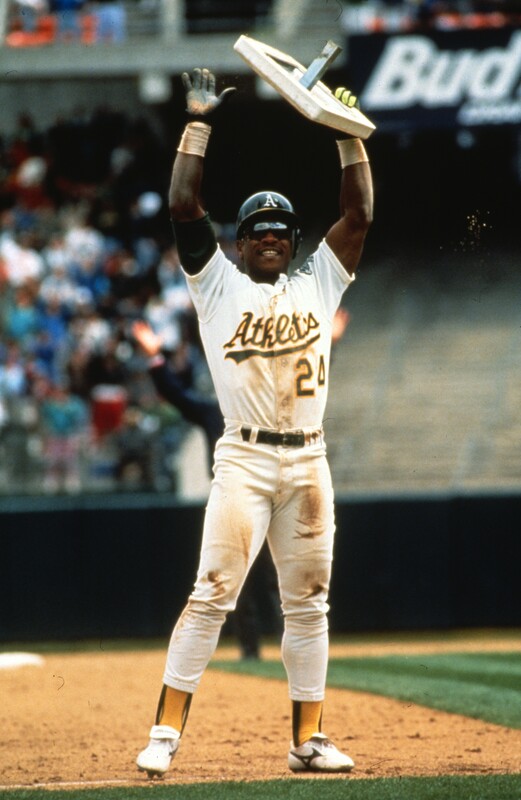 Now Rickey does hold the career record for home runs leading off a game with 81, which is a nice consolation prize. But I think we can go a step further since power alone isn’t defined by home runs. Lets check these players career slugging percentage and see where Henderson stands. Not a shock here but Henderson lags far behind, as his percentage sits at .419 while the next closest is Ken Griffey Jr. at .538. Barry Bonds career slugging percentage is sick, an insane .607! One last test; since OPS is widely used anymore(on-base percentage + slugging percentage) I figured we could check these players’ career OPS+, which will factor in the league averages during these players era’s while also factoring in the ballparks. With 100 equaling average, every player is above that with Henderson the lowest at 127. 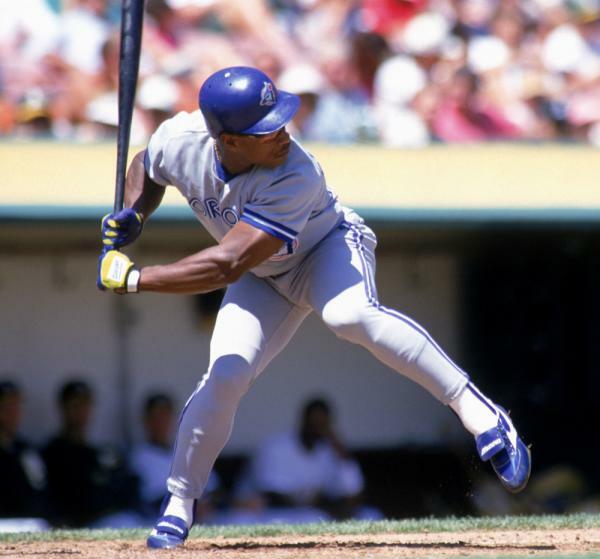 But he isn’t too far off from Griffey at 136, Aaron at 155 and Mays at 156. So what these numbers tell us is that Henderson, who had good power for a leadoff hitter, was not at the elite level power-wise as most of the greats of the game. This isn’t much of a surprise but shows that Henderson obviously affected the game from a different perspective than the bigger hitters in baseball history. So it comes down to this, one last comparison, one that will digest every part of a players contribution to his team(s), WAR. Lets preface this by saying that the WAR stat is not perfect and not the end all be all of statistics. But it is a stat that can quantify just how much of a complete player he is, and until another statistic pops up that breaks it down even more, it is the best assessment of what we are looking for here. What WAR tells us is that Barry Bonds and Willie Mays are in a league of their own, with 162.4 and 156.2 respectively, followed by Hank Aaron at 142.6, then Henderson at 110.8, Mantle at 109.7 and Griffey down at 83.6. Rickey isn’t the elite here, but he is right in the middle of the pack and holds his own with the greats of the game. So what did we learn from this little exercise? For one, Barry Bonds and Willie Mays are quite possible the two most complete players in baseball history, as they did everything above average when they played. Maybe the most surprising item from this is that Ken Griffey Jr., soon to be a member of the Hall of Fame in 2016, was really hurt late in his career by all the injuries. 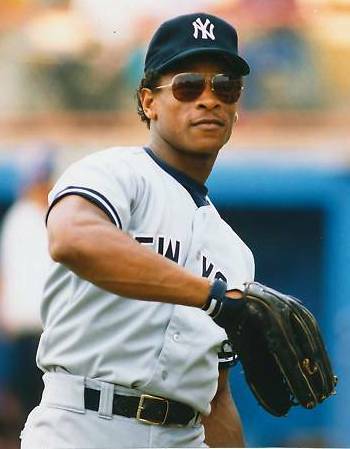 And Rickey Henderson? 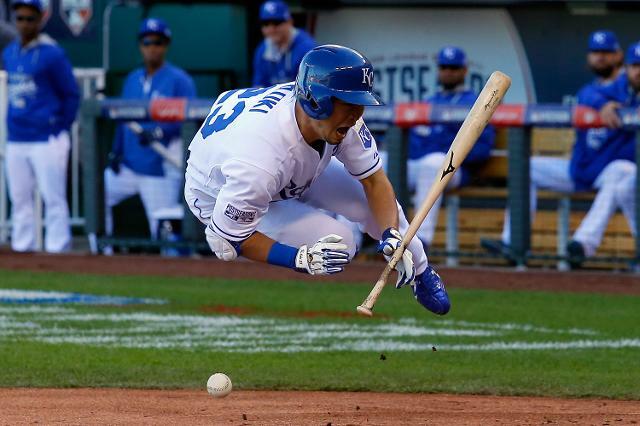 He is the greatest basestealer of all-time, taking what Lou Brock did to another level. He is the greatest leadoff hitter in baseball history, a man who redefined what that even means. While he might not be the greatest player we have ever seen, he holds his own with the other 5 tool players I compared him to. 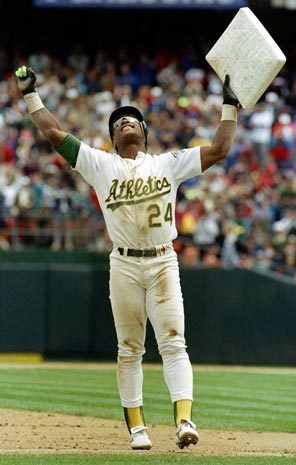 Rickey isn’t the greatest like he said he was, but he was pretty damn close and that means almost as much. At some point a player will break his stolen base record or a leadoff hitter will hit more home runs to lead off a game; records are made to be broken. 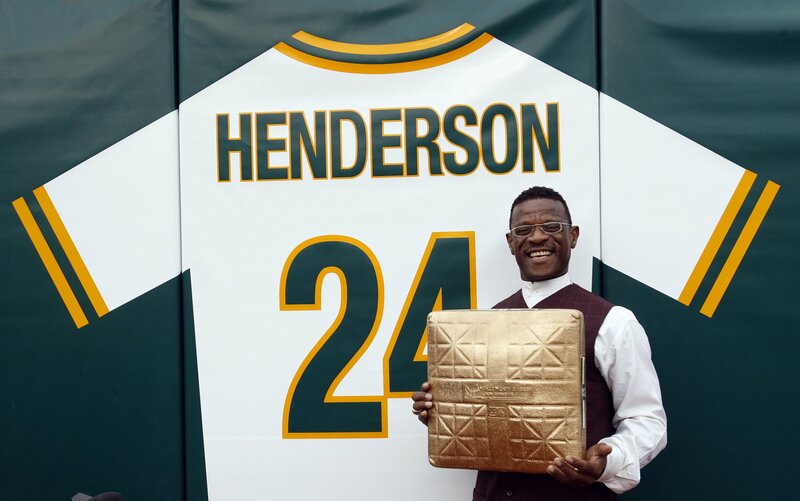 But there will only ever be one Rickey Henderson, just the way Rickey likes it.